I love ballads. Country ballads, Bluegrass ballads, Folk ballads and yes... Rock ballads to. 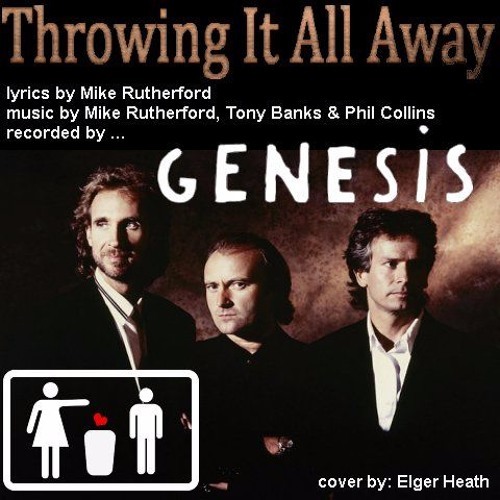 Genesis put out a wonderful recording of a ballad in 1986 called 'Throwing It All Away'. Written by Mike Rutherford with music by Mike Rutherford, Tony Banks & Phil Collins, I fell in love with this song right from the first time I heard it. I may have gotten the music slightly wrong and the lyrics are not quite the same, but the general gist of this simple cover is fairly accurate. It is a single track with one guitar and one voice. Still there is something I like about this cover so here it is. I hope you enjoy it.